It seems like it has been ages since I've posted! We safely arrived back in the States last week and I am one happy 'chickadee' to be home again with all the comforts, like a washer and dryer! The backyard birdies are glad I have returned. Feeders have been filled and the Junkos, Cardinals, Finches and woodpeckers are having a party! It was a wonderful 'Round the World' trip and I'll continue to share our destinations, but I hope to get back to more routine postings and catch up with all of you. When I left you last, we had wrapped up our time in Sydney on the east coast and headed west landing in Perth where we would spend a month. I fell in love with Perth. Come along and I'll show you why. 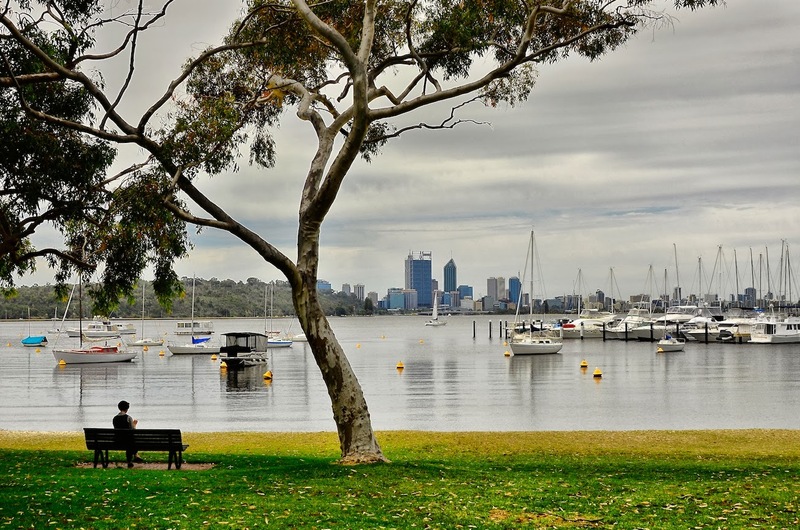 The Swan River hosts a fair number of yacht clubs as it winds its way through Perth. Bike paths can be enjoyed all along the river, which I took of great advantage. 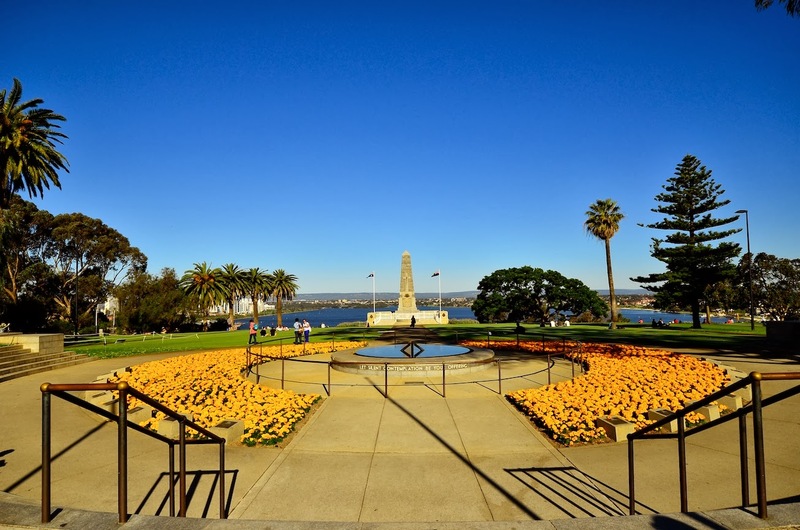 The unique Swan Bell Tower sits on Riverside Drive along the Swan River. 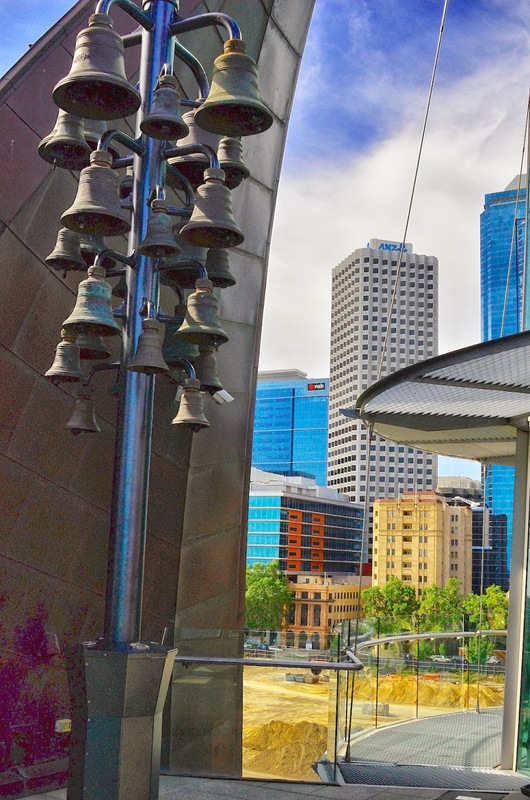 The Tower provides a gorgeous view of downtown and the 18-bells are the largest set of change ringing bells in the world. There were only a few people there the day we visited (and Grandparents day, so we got in free). The guard treated us by having the bells play our National Anthem. Very cool! 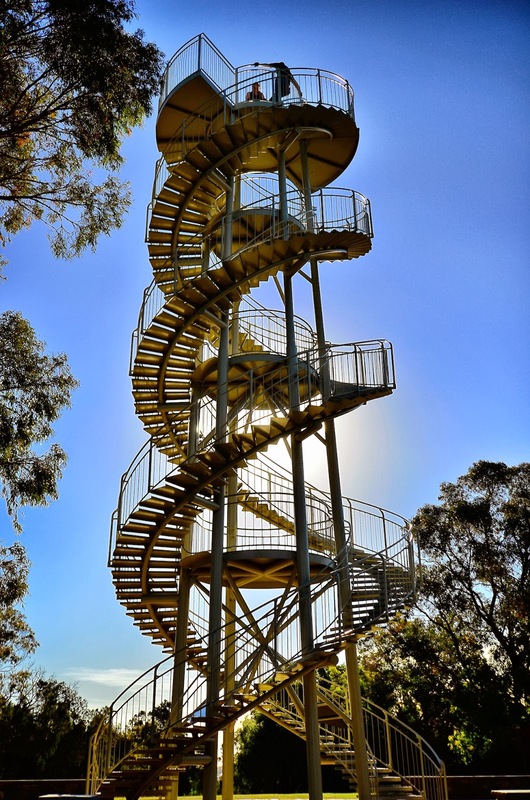 I made several visits to King's Park which is one of the largest inner city parks in the world with its botanical gardens, natural bushland, War Memorial and the DNA Tower with its 101 steps and great views. 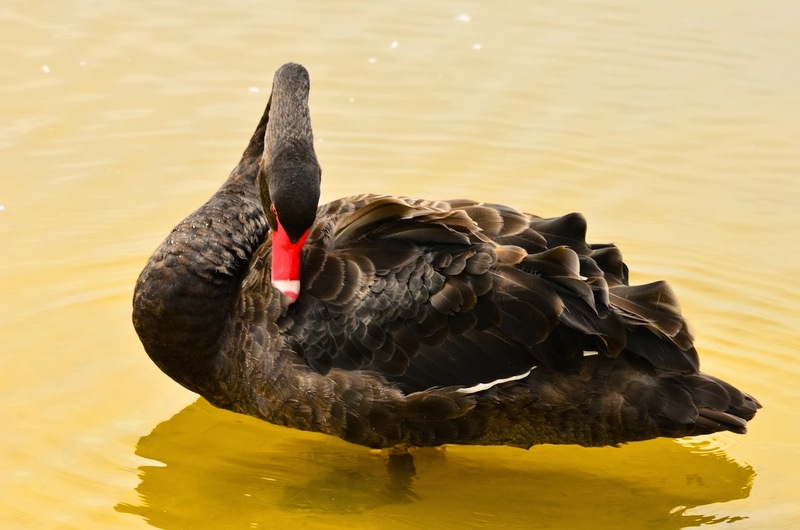 I had a wonderful time frequently watching these beautiful black swans along the river. 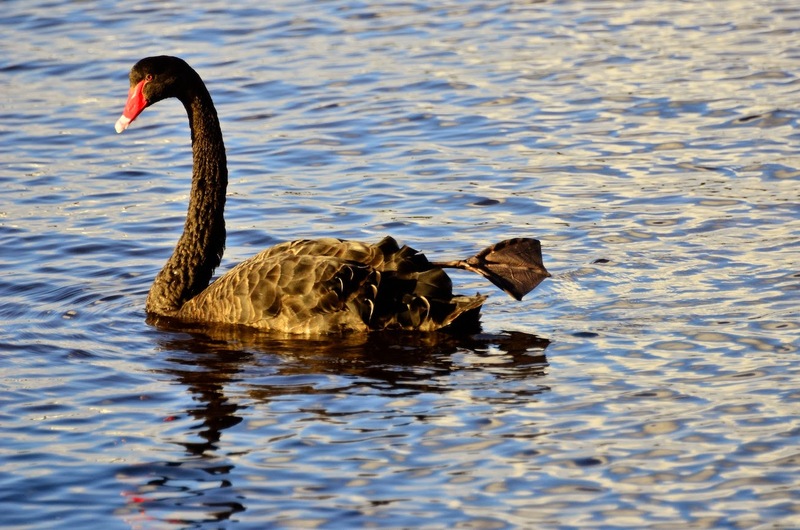 This guy was doing his Black Swan stretches one afternoon. Natalie Portman has nothing on this guy! posts to share about this city. thinking I need a break from travel stories. WOW! Perth does indeed look very special! I would adore spending hours in the botanical garden there. It's lovely to travel, but it's also great to come home, isn't it? I have never been in Australia and have enjoyed admiring the place through your series. 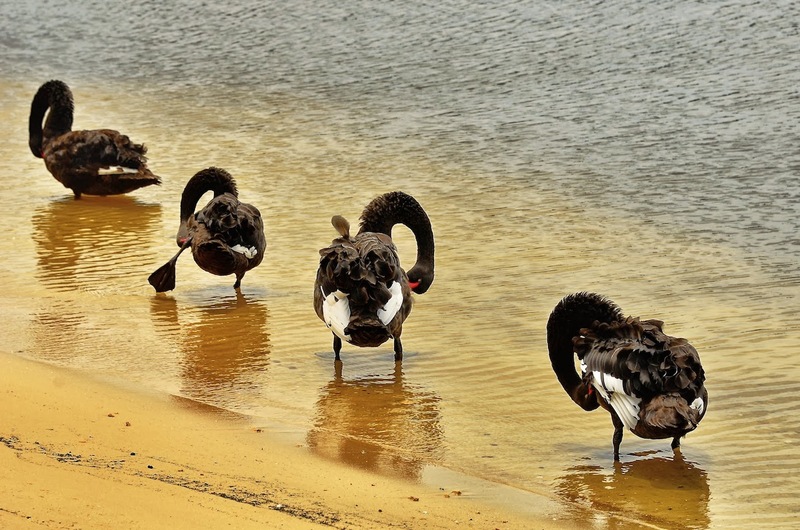 In the Perth one, I particularly like the 2nd, 5th and the one with the 4 black swans. Looking forward to seeing more photos if you have any of your trip. As Christmas is coming soon, Merry Christmas and Happy Blogging New Year! ha...cool tower...i bet the view is nice from up there...the roos are cool too....wonderful pics and welcome home! These are terrific captures, Reena!! 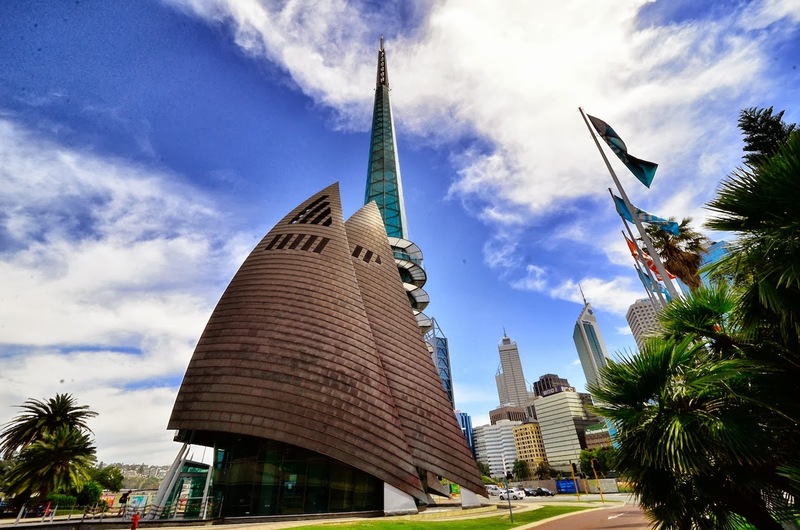 Perth does indeed look like an amazing city! 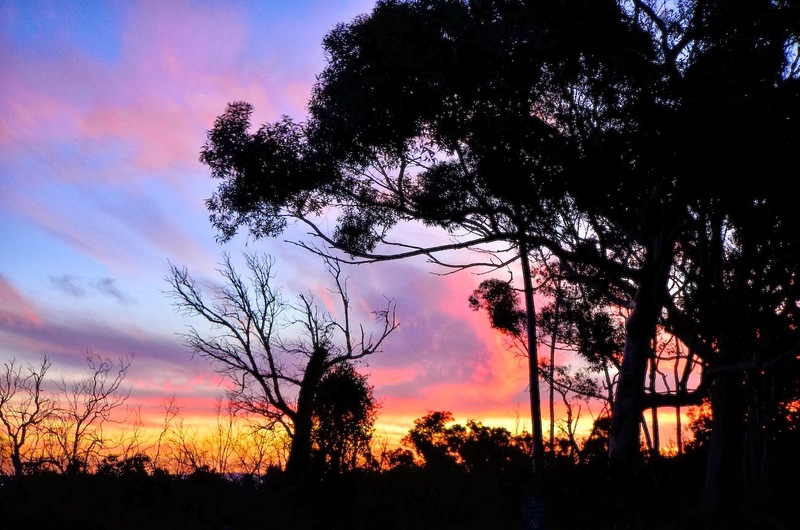 I've been following Grace's blog from Perth for some time and I would love to visit there! Hope you have a beautiful holiday, Merry Christmas!! Wow, what a trip! I can see why Perth is a fave. Looking forward to more photos and adventures. Some incredible sights. Glad you are safely home. Have a wonderful Christmas. 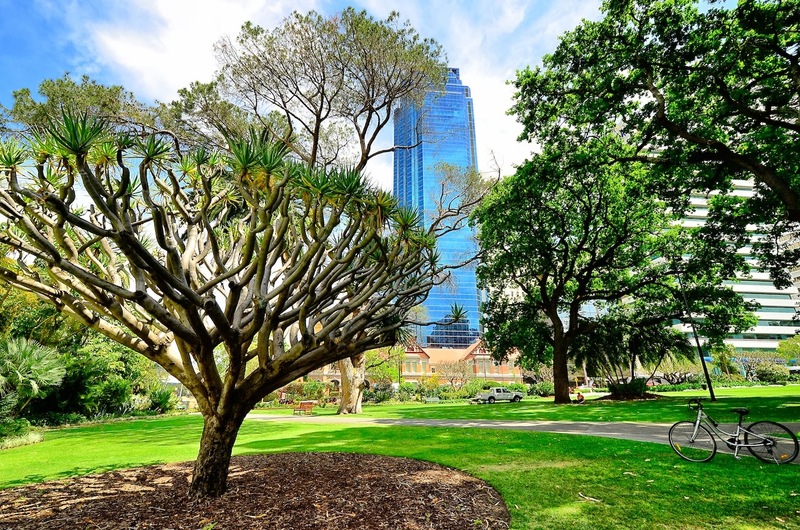 Perth looks wonderful.. you certainly snapped some fine pics. I look forward to more. Have a terrific Christmas, Reena. I'm so glad that you're home safe and sound. Welcome back to winter!!! After all that warmth down under, its gotta be a shock. Get yourself caught up and put together, and then tell us all about the rest of it. Oh, I'm on the way to your home state where its gonna be COLD!!!!!!!! What we don't do for the DHs, right? 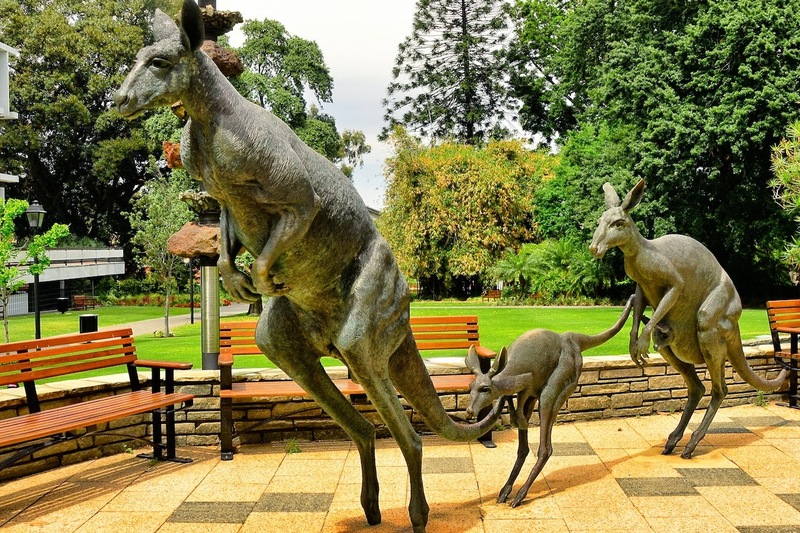 I love the kangaroo statues, the DNA tower, and the swans! Cool!!! i have seen a bit of perth via gracie's blog ... now i get to see more via your's ... are you in 'town' or are you headed up to maine for the holidays? Perth looks like a fascinating place! I love them all and that first one has several little scenes in it. 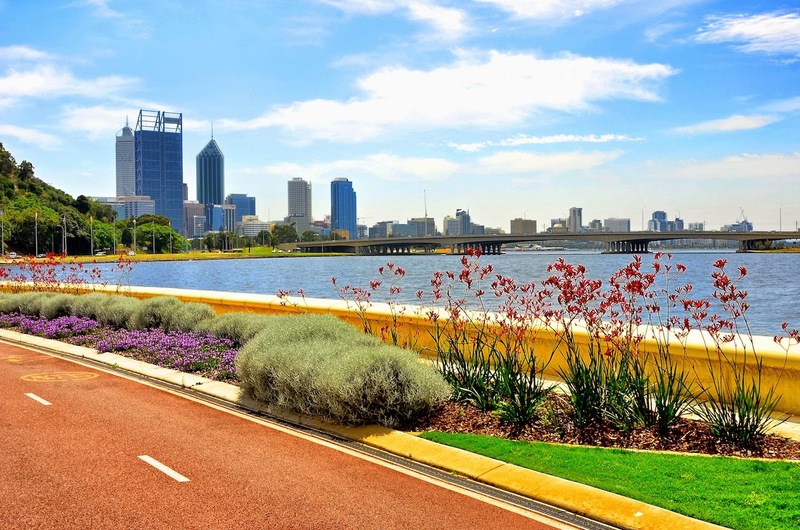 Perth is indeed a very beautiful city. There are many attractions to visit, both natural and urban. You have managed to capture the entire place from an entirely different perspective but it is just as beautiful. 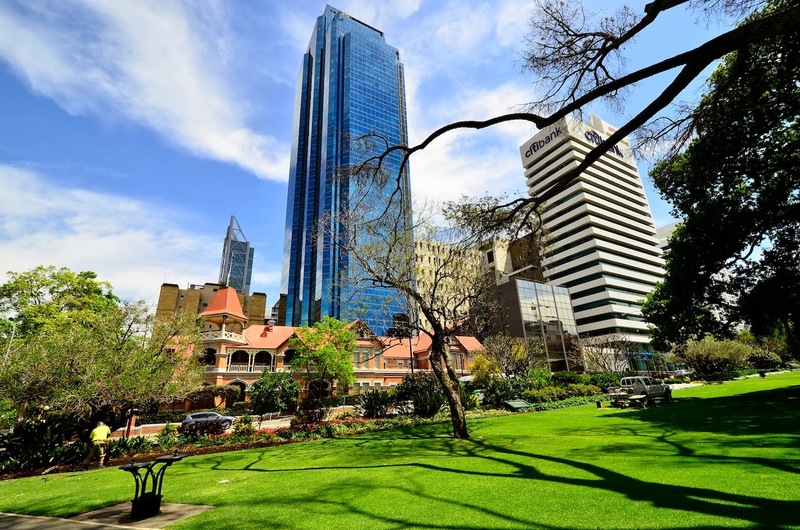 Nevertheless, I have to agree that it is worth a visit and even though “There is no place like home.” Perth could be a very good alternative to actually call home. We have been here for quite sometime and we have been treasuring every second of it.